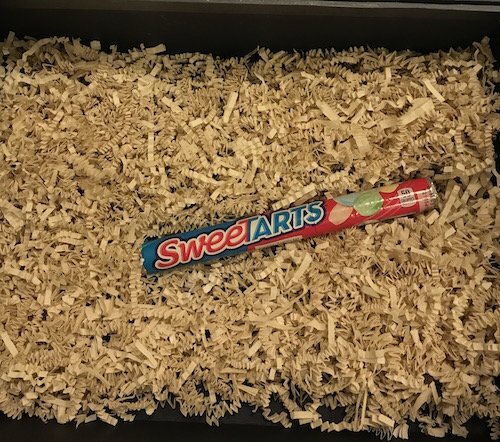 On the heels of conducting a motivational keynote speech for a client in Las Vegas, one of the key executives sent me the most unique post-event thank you gift. 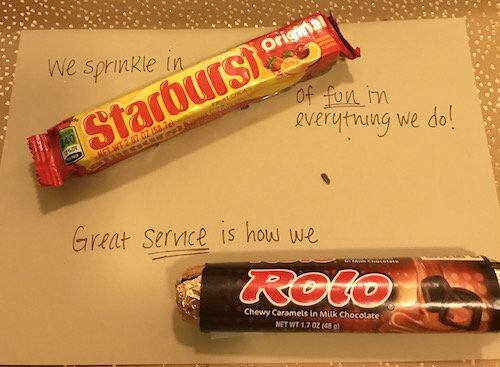 The gift so resonated with me since it leveraged three of the most impactful drivers of both employee engagement and brand promotion and recognition. First, I’ll share the gift with you and then I’ll highlight the drivers it leveraged, such that you and your team can use them to make a difference for your employees and customers. The gift was from Wendy Hamilton, the General Manager of SugarHouse Casino in Philadelphia, but was assembled by Trish Smylie, the Director of Customer Service. 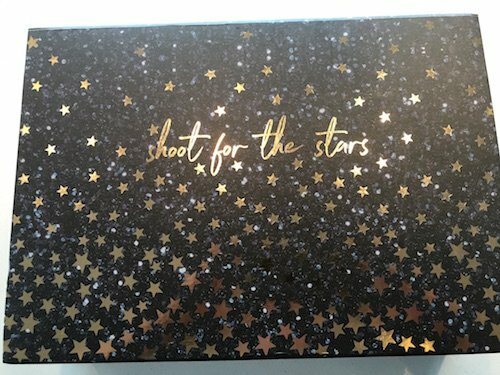 Trish had creatively assembled a box labeled “Shoot For The Stars.” I opened the box with great curiosity and found a hand-written note with messaging that was interspersed and punctuated with well-known candy. 1. Strategic vision and mission. 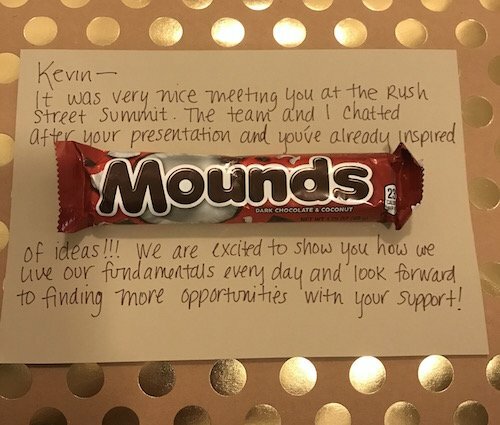 The candy in the gift was representing and promoting the organization brand, SugarHouse. 2. Communicating lasting impressions with the customer. The thank you gift was fun and unlikely to be forgotten. As such, others recipients, especially customers, would give their future loyalty to the casino. 3. Having fun. Fun is the missing driver of both employee and customer engagement. So many organizations, managers, and employees forget to have fun while working, and as such, this engagement driver goes under-utilized, or not leveraged at all, when trying to reach world-class engagement levels. SugarHouse Casino shows videos to interview candidates exhibiting how much fun they have at their property, and more importantly, illuminates how much fun you could have there and at your own organization. This entry was posted in Blog and tagged customer engagement, employee engagement on December 11, 2017 by Kevin Sheridan.